Novotema S.p.A. is pleased to announce that it has had five elastomer materials successfully tested to FDA 177.2600 - the United States standard 21 cfr (Code of Federal Regulation) §177.2600. The extraction tests relate to paragraphs E and F from the standard, which permit the elastomer materials to be used in applications where there is repeated contact with foods. Food contact materials must be demonstrably safe, manufactured in accordance with specific regulations, proving that they will not transfer their ingredients to foodstuffs in quantities pre-defined as being potentially hazardous to health. Different international markets have their own standards to cover this. The United States FDA standard 21 cfr §177.2600 is commonly adopted worldwide. These categorised materials are regulated by the Federal Food, Drug and Cosmetic Act – a series of laws declared by the United States Congress to protect food, medicines and cosmetics. This Act concerns "any substance whose use can lead to - or is believed to be capable of – the substance itself to become part of food, in cases where such substance is not considered safe.” The definition specifically refers to those substances that are used to "produce, pack, process, prepare, treat, package, transport or contain food". 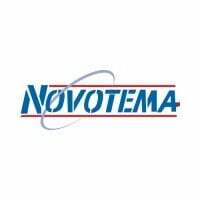 Contact our engineering team today to discuss Novotema’s latest test results in more detail, or sealing solutions for the food process industry.